Anthony Tol (1943-2014) was born in Boskoop, the Netherlands; he emigrated in 1951 to Victoria, British Columbia, Canada where he attended local schools through to the first year at Victoria College (later University of Victoria). He graduated from Calvin College, Grand Rapids, Michigan with majors in mathematics and philosophy. In 1966 he returned to the Netherlands for post-graduate studies at the Free University of Amsterdam (VU), and was an assistant to D. H. Th. Vollenhoven from 1970-1975. He remained in the philosophy department of the VU, specializing in the history of modern and contemporary philosophy. The specialization in Vollenhoven is a concomitant development of many years standing. 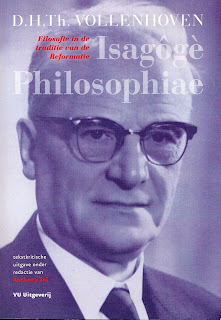 Vollenhoven's Isagôgè , has gone through many versions and translations. Tol, as part of his doctoral dissertation, has assembled here the ultimate critical edition. He has compiled and edited all Vollenhoven's many version to provide the definitive text-critical edition in Dutch. This is a monumental work. More details in Dutch here. Recent years have seen a number of works by and on Vollenhoven. This by Tony Tol is the result of his PhD supervised by A. P. Bos from the Free University (VU). It looks at the development of a neo-calvinist philosophy. Tol pays particular attention to the part played by Vollenhoven in this development. The book started life as a project to edit Vollenhoven’s seminal work the Isagoge Philosophiae a text Vollenhoven was continually changing and revising; there are about a dozen different versions of the text! This book then traces Vollenhoven’s thought as it changed and evolved. This is a welcome addition to the burgeoning interest in reformational philosophy. Vollenhoven’s work is often dense and opaque. Tol has done much of the hard work in helping us understand Vollenhoven and his ideas better. (2014) When the Form Matters: An Analysis and Interpretation of Mark’s Gospel Account an unpublished research project. (2013) Translator and editor of D. H. Th. Vollenhoven Reformed Epistemology: The Relation of Logos and Ratio in the History of Western Epistemology. Sioux Center: Dordt College Press. Details here. (2013) Translation and revision of J. Stellingwerff "D. H. Th. Vollenehoven" Wikipedia (May 2013). (2011), “Reformational philosophy in the making”, Phil. Ref. 76, no. 2 pp. 87-215. (2007, September), Vollenhoven Newsletter of the D.H.Th. Vollenhoven Foundation, ed. by A. Tol, no. 3; includes “Vollenhoven as I remember him”. (2007), “Vollenhoven and philosophy in early classical antiquity: a critical review”, in R. Sweetman, ed., In the Phrygian Mode. Neo-Calvinism, Antiquity and the Lamentations of Reformed Philosophy. Toronto: Institute for Christian Studies; Lanham: University Press of America, 127-160. (2005, October), Vollenhoven Newsletter of the D.H.Th. Vollenhoven Foundation, ed. by A. Tol, no. 2; includes “Work completed”. (2005), “Wetenschap en zinvragen: een historische terugblik”, in Ongekend nieuwsgierig. Zinvragen en wetenschap, ed. by B. Voorsluis. Zoetermeer: Meinema, 16-33. (2004), “Wijsgerige vorming” in Het Nut van Filosofie, ed. by R. van Woudenberg, M. Willemsen and G. Buijs. Budel: Damon, 61-66. (2003), “Vollenhoven en de wijsbegeerte van de wiskunde”, Beweging 67 (nr. 2), 42-43. (2003, July), Vollenhoven Newsletter of the D.H.Th. Vollenhoven Foundation, ed. by A. Tol, no. 1; includes “Introduction”, “Vollenhoven”s “Introduction to Philosophy””, and “On translating Vollenhoven”s term “consequent probleemhistorische methode””. (2001), “Deconstructie van een destructieve kritiek. Herman Paul over Vollenhoven”s probleemhistorische methode”, Beweging 65, 1, 16-19. (1998-1999), “Het mooiste van Wittgenstein: een voorstel”, Wijsgerig Perspectief 39, 1, 29-30. 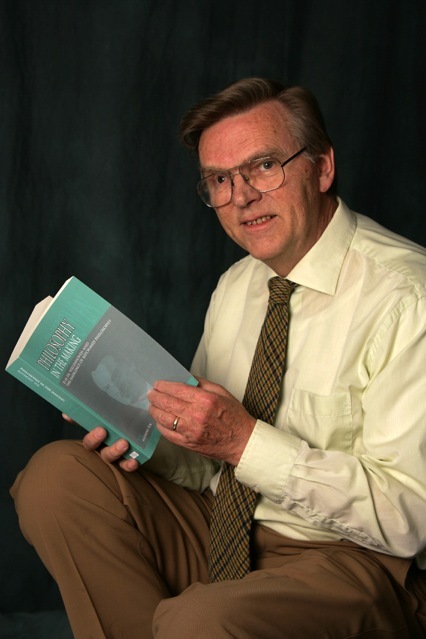 (1998), ““Waarborg” als kentheoretische notie”, in R. Van Woudenberg and B. Cusveller, eds., De kentheory van Alvin Plantinga. Zoetermeer: Boekencentrum, 83-97. (1996), “Karl Popper: tussen modernisme en postmodernisme”, Beweging 60, 1, 32-35. (1995), “Bertrand Russell. Wijsheid als onpersoonlijke zelf-vergroting”, in H.E.S.Woldring, ed., Grote filosofen: Over Jeugd en Ouder Worden. Ambo: Baarn, 105-122. (1995), “Time and change in Vollenhoven”, Phil. Ref. 60, 99-120. (1993), “Vollenhoven”s probleemhistorische methode tegen de achtergrond van zijn systematisch denken”, Phil. Ref. 58, 2-27. (1992), with K.A. Bril, Vollenhoven als wijsgeer. Inleidingen en Teksten. Amsterdam: Buijten & Schipperheijn, 376 pgs..
(1992), “Vollenhoven als systematicus”, Beweging 56, 5, 91-96. (1992), “Vollenhoven en het postmoderne”, Beweging 56, 3, 52-55. (1991), Review of R. van Woudenberg, Transcendentale Reflecties. Een onderzoek naar transcendentale argumenten in de contemporaine filosofie, met bijzondere aandacht voor de transcendentale pragmatiek van Karl-Otto Apel (Amsterdam: VU uitgeverij, 1991, 264 pgs. ), Stoicheia 6, no. 2 & 3, 109-113. (1991), “Voorbeeld, nadoen en niet beter weten”, Beweging 55, 1, 13-16. (1989), “Mathematics at a Christian College”, Tydskrif vir christelike wetenskap 25, no. 3 & 4, 1-28. (1981), “Vollenhoven”s last philosophical work”, Anakainosis 3, no. 4, 11-12. (1981), “Vollenhoven, Dooyeweerd and law”, Anakainosis 3, no. 4, 7-10. (1979), D.H.Th. Vollenhoven: Ancient Philosophical Conceptions in Problem-historical Layout, 6th Century B.C. “ 6th Century A.D. , ed. with a foreword by A. Tol. Amsterdam: Filosofisch Instituut of the Vrije Universiteit. (1979), with J.N. Kraay, eds., Hearing and Doing. Philosophical Essays Dedicated to H. Evan Runner. Toronto: Wedge, xvii + 380 pgs. (1978), “In memoriam: Dirk Hendrik Theodoor Vollenhoven”, Phil. Ref. 43, 93-100. (1977), “Epistemological aspects of mathematics in historical perspective”, in W. Kuyk, Complementarity in Mathematics. A First Introduction to the Foundations of Mathematics and Its History (chapter 2; insufficiently acknowledged). Dordrecht: Reidel, 66-127. (1975), “Filosoferen over wetenschappelijkheid, n.a.v. Dr. D.F.M. Strauss: Begrip en Idee, Beweging 39, February, 8-10. (1973), “Professor Vollenhoven 80 jaar”, Beweging 37, February, 12.